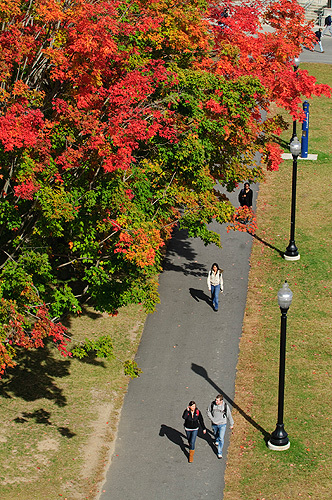 Students walk on the Student Union Mall. 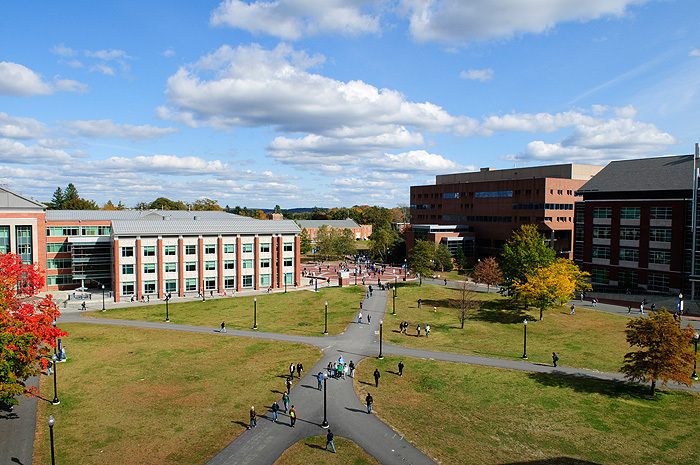 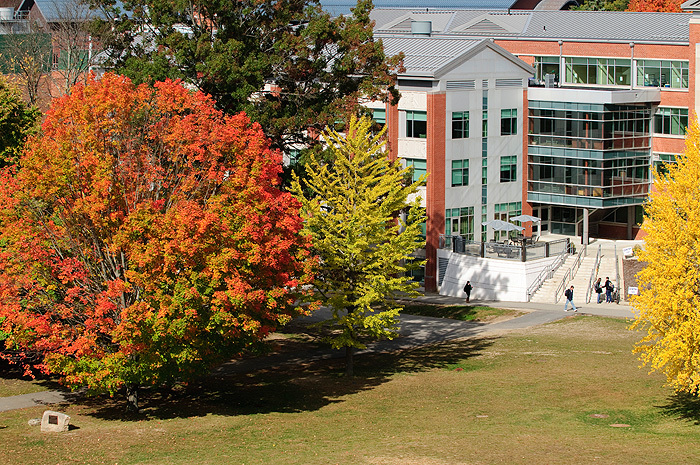 A view of the Student Union Mall showing, from left, the Center for Undergraduate Education, Homer Babbidge Library, and the Information Technologies Engineering Building. 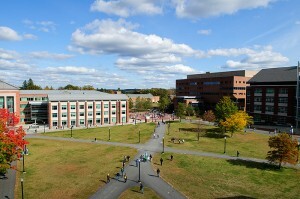 The Castleman Building, left, and Gentry Building. 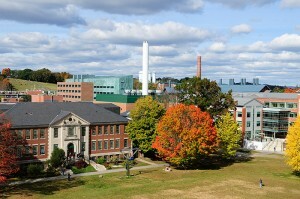 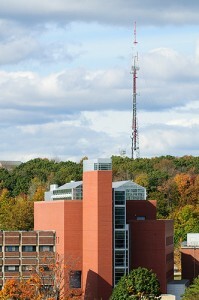 The Biology/Physics Building, with the University radio tower in the background.